AGluten Free Life:My Celiac Story lives up to its title. It is the story of Jeeva and her life as a celiac. Anyone from an urban, metropolitan background can relate to the story. In an easygoing narrative, she brings forth the issues persons diagnosed with celiac would encounter. Questions regarding its manifestation, whether it is genetic, what can a person eat, as also thoughts that normally ail any patient once diagnosed—why me, why now—are dealt with in the book. Coming from a personal perspective, they are easy to grasp, lucid and very day to day. These are things your gastroenterologist can never prepare you for, unless he/she is a celiac! Being a non-celiac gastroenterologist, it would be my reference book for those who have been recently diagnosed. 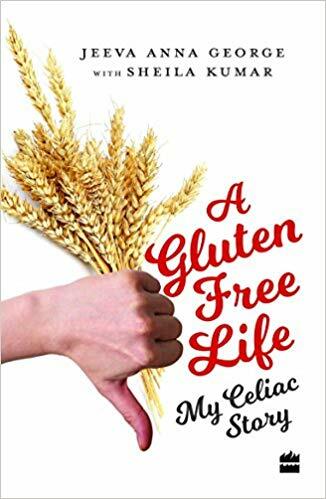 I would recommend this book for any celiac person, also for the friends and spouse. While it describes unimaginable scenarios to be addressed—delays in a connecting flight—stranded on airports, airline meals—it also gives hope, and practical tips on how to deal with such situations. Carrying along gluten free emergency rations, spotting the right food, connecting and speaking to people about your needs are some of the suggestions. Speaking up, informing the host, and advocacy to address the basic right of food and information about ingredients are very important. The section on home remedies, which almost all Indian households love to practice, is fun and helpful. The recipes, I am sure, would be most thumbed pages of the book. Easy to make, suited for an Indian palate and related to our traditional grains, they will add variety to the diet of readers. The availability of gluten free food, appropriate labelling and information in India is growing. The condition is being increasingly diagnosed in India. The need is for industry to step in, to make life easy and not enforce a life of self made food onto celiacs. Making one’s own food should be a choice, not a compulsion due to non-availability. We need more off the shelf products, more restaurants and more start-ups like Jeeva’s to step in. While the book is a narrative of a celiac, it is of a patient from the upper echelons of society. The agony, struggle and issues explained here can only make one imagine what must be happening in the hinterland and in non-supportive families. Sharat Varma DNB, PhD (Paediatric hepatology) is Clinical lead consultant Paediatric hepatology and gastroenterology, Max Hospitals—New Delhi (Saket, Gurgaon and PPG). Home Fire by Kamila Shamsie, winner of the women’s prize for fiction 2018, a contemporary reimagining of Sophocles’s Antigone, is an urgent, fiercely compelling story of loyalties torn apart when love and politics collide – confirming Kamila Shamsie as a master storyteller of our times.